The Queen Mother&#39;s former home Clarence House will open to the public this summer for the first time. The house, near Buckingham Palace, was the Queen Mother&#39;s home from 1953 until her death last year. It is soon to become the London residence of her favourite grandson Prince Charles and his sons Princes William and Harry, who currently live next door in St James&#39;s Palace. Their relatively cramped living space, York House, is expected to be converted into offices. Clarence House, off The Mall, is undergoing extensive refurbishment and redecoration under the direction of the Prince of Wales&#39;s interior designer, Robert Kime. William, who will be 21 in June, and 18-year-old Harry have designed their own rooms. The taxpayer is paying for an estimated £4.5m structural work on the building, while Prince Charles is footing the bill for other work. The house will be open to the public from 6 August to 17 October. Visitors will be given a guided tour of five ground-floor rooms where Charles will receive VIPs. Tickets will cost £5 for adults, and £3 children under 17. Children under five will be admitted free. Clarence House was built by John Nash between 1825 and 1828 for William, Duke of Clarence, later William IV, who lived there from 1830 until 1837. It has since been altered and enlarged twice and needed extensive restoration work following bomb damage during World War II. In 1942 the building became the headquarters of the Red Cross and St John Ambulance Brigade. Three of its original storeys remain, along with several mantelpieces and ceilings from the early 19th century. The grand design of Clarence House has made it a favourite home for successive generations of senior royals. Following its post-war renovation, Princess Elizabeth and the Duke of Edinburgh lived there after their marriage until her accession as Queen Elizabeth II in 1952. Prince Charles himself lived there until he was three years old. A year later the Queen Mother and Princess Margaret moved in, although Margaret left when she married Anthony Armstrong-Jones in 1960. The years that followed saw the Queen Mother move many pieces from her private art collection into Clarence House. It contains many other memories of her long life and was among the four homes used by her. In Scotland she was a frequent visitor to Birkhall, on the Balmoral Estate, and also the Castle of Mey in Caithness. She died at her Windsor residence, the Royal Lodge, on 30 March, 2002. PRINCE Charles and longtime companion Camilla Parker Bowles are setting up house – in his beloved grandmother&#39;s former home. The heir to the throne and his sons, Prince William and Prince Harry, will move into the late Queen Mother&#39;s former home, Clarence House, within the next few months, a spokesman said yesterday. Mrs Parker Bowles is to have what is coyly called "rooms" in the new set-up, which will replace St James&#39;s Palace as Prince Charles&#39;s official residence. The residence is being renovated at a cost of &#036;A13 million – a bill that will be picked up by the British taxpayer. Prince Charles, though, is believed to have spent some of his own money on parts of the refurbishment. Prince Charles is believed to have kept much of the atmosphere of Clarence House as a memorial to his grandmother, who died last year. In fact, the Queen Mother never much liked Clarence House when she first moved into it, but came to call it home. She shared it with Princess Margaret, who also died last year. Mrs Parker Bowles will not officially live there and will keep her home in Wiltshire. She has played a part in decorating Clarence House and will have a small suite of offices and an apartment of her own with perhaps a small staff. But, in practice, she will share Prince Charles&#39;s quarters. There have been consistent reports that Mrs Parker Bowles had been sidelined by the new household running Prince Charles&#39;s official life, headed by Sir Michael Peat. However, she is known to attend all of the prince&#39;s diary conferences and remains one of his closest advisers. There also were reports yesterday that Prince William has opted out of any large public affair for his 21st birthday in June, preferring to delay his entry into public life until he finishes his university course. For the first time Clarence House will be open to the public this year, from August 6 to October 17. The Prince of Wales is set to move into the late Queen Mother&#39;s estate, Clarence House, in just a few months – and his companion, Camilla Parker Bowles, will apparently be made to feel completely at home there. Not only is the 55-year-old National Osteoporosis Society president helping redesign the interior of the 19th-century building, she will also have her own private office, according to newspaper reports. It is understood that she will be dividing her time between Clarence House and her home in Lackock, Wilts near Highgrove. Sources say that Mrs Parker Bowles, who currently splits her time between her home and many of the royal residences, will initially have no formal suite of rooms at Clarence House, and will instead share the Prince&#39;s.
The interior design work for the £7-million renovation project – taxpayers will foot the bill for structural work, while the Prince pays for decorating – is under the charge of Robert Knie, who is being helped by Mrs Parker Bowles and the Prince&#39;s former valet, Michael Fawcett. Fawcett is now a freelance consultant, having resigned from the royal staff in March after the release of a palace inquiry conducted by Sir Michael Peat. LONDON -- Prince Charles is being criticized for lavishing millions of taxpayers&#39; dollars on the refurbishment of a London mansion to share with his longtime companion, Camilla Parker Bowles. Charles, already accused of enjoying such trivial luxuries as servants who squeeze his toothpaste, has spent &#036;7.4 million to redecorate Clarence House, royal officials confirmed. The prince already has an official residence in the capital at St. James&#39;s Palace. "How many palaces does a prince need?" said an editorial in the Guardian newspaper Tuesday. A spokeswoman for Charles confirmed that the heir to the throne and his two sons, Princes William and Harry, will move into the former home of the late Queen Mother Elizabeth within the next few months, replacing the prince&#39;s current official residence. "There is a lot more space for the family," she said on customary condition of anonymity. The taxpayer money being used for the upgrade of the house comes from a fund earmarked for the maintenance of occupied royal palaces, and the prince is reportedly spending &#036;3.2 million from his own pocket in the addition to the &#036;7.4 million. The staunchly monarchist Daily Mail reported that Charles had been frugal in restoration of the building, which has not been redecorated since 1947 - using bronze leaf at "a fifth of the cost" of the alternative gold leaf. Parts of the 19th-century house will be opened up to the public for the first time when renovations are completed this summer. But critics said Charles could lose public goodwill with his extravagant lifestyle. The prince also has a large home in rural Gloucestershire and recently acquired another one in Scotland. "Both a sharper eye and a firmer hand need to be kept on what the prince is up to. Why should the prince acquire another palace in London from the public purse, and have it so expensively done up, when he has got one already? How many palaces is it appropriate for the heir to the throne to maintain at public expense?" the Guardian asked. Recent news reports have claimed that the prince, who has about 50 personal staff, has bestowed royal warrants - the coats of arms printed on jars of jam and boxes of soap - on companies to get free toiletries. Royal aides said Parker Bowles would spend a significant amount of time at Clarence House and did not deny reports that rooms would be set aside for her ailing father. Queen Elizabeth II gave the house to her eldest son following the death of the queen mother in April 2002. It is just minutes from Buckingham Palace, and the move to include Parker Bowles is being seen as further tacit acceptance from the royal household of her relationship with Charles. Critics, however, say his spending on chauffeured cars and designer clothing for Parker Bowles will not help endear her to the public. Since she divorced her husband and Charles split with Princess Diana before her death in 1997, his relationship with Parker Bowles has brought criticism, with questions raised about his suitability as the next monarch. The two now often appear in public together, leading many people to assume they will eventually marry. But polls show the public may not accept Parker Bowles as queen. Still, Charles has slowly regained popularity, and his obviously warm relationship with his two sons has helped win back much of the favor he had lost in his disputes with the late Diana. David Nash, who lectures on politics at Oxford-Brookes University, said the British public increasingly wants to see "value for money" from the royal family. "The argument goes that the cost of the monarchy is only the same as the cost of one Eurofighter" warplane, Nash said. "That may be true, but that does look frightful when the money is being used to have someone squeezing your toothpaste." The Queen has entrusted the writing of the official biography of Queen Elizabeth The Queen Mother to Mr William Shawcross. Mr Shawcross will be given full access to Queen Elizabeth&#39;s personal papers, which are held in the Royal Archives at Windsor Castle. I suspect the Queen Mum&#39;s shallow and mean-spirited attitute might have set the stage for the low opinion in which the British monarchy is held today. It&#39;s fitting that Prince Charles was closest to her and is the one to preserve her memory in Clarence House and in the choice of who should write her biography. It wasn&#39;t enough that Edward VIII abdicated and was exiled, Queen Mum had to continue to heap every abuse on him that was within her power. 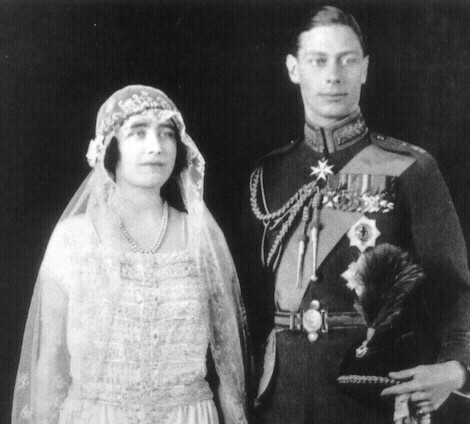 She claimed it was because the pressure of being king was the cause of the relatively early death of her husband, George VI. Yeah, Riiiight. Diana referred to the royal familly as &#39;The Firm&#39; and called the good Queen Mum its #1 member. Then the Queen Mum&#39;s funeral was marked for the paucity of genuine morners and the news media trying to make something out of nothing. It&#39;s comforting to know that sometimes, justice does rear its ugly head, even though this was quickly and quietly smoothed under by &#39;The Firm&#39;. From Corbis. The Queen Mother and her daughters. TOMMIX, I remember about this vigil. Weren&#39;t there other Royals who took turns at this vigil ? Also, there is this thought I have that at one time, there were four Royals each at one of the corners during the vigil ??? At the same time the POW was standing vigil, the Queen Mother&#39;s other grandsons were standing vigil also. Her other grandsons being, HRH The Duke of York, HRH The Earl of Wessex and David, Viscount Linley. This photo shows that scene, although you can not see Lord Linley [and to clarify things a bit, there are three Royals and one non-royal, that being Lord Linley. He is a member of the extended Royal family, but Lord Linley is not royal]. I think the fourth member may have been Prince Phillip- for a while, or perhaps Princess Anne&#39;s husband...? Prince Michael of Kent? Princess Beatrice of York outside Westminster Abbey. The King and Queen of Sweden, The King and Queen of Spain, and The King and Queen of Norway at the funeral of Queen Elizabeth the Queen Mother. Grand Duke Jean of Luxembourg, Herditary Prince Albert of Monaco, and Prince Ernst of Hannover at the funeral of Queen Elizabeth the Queen Mother. Hutlon Archives - 4 August 1970 - Queen Elizabeth the Queen Mother (1900 - 2002) with her grandchildren, Prince Edward (left), Lady Sarah Armstrong-Jones and Viscount Linley on her 70th birthday. Hulton Archives - 4 August 1970 - Queen Elizabeth the Queen Mother (1900 - 2002) with her grandchildren, Prince Edward (left), Lady Sarah Armstrong-Jones and Viscount Linley on her 70th birthday. 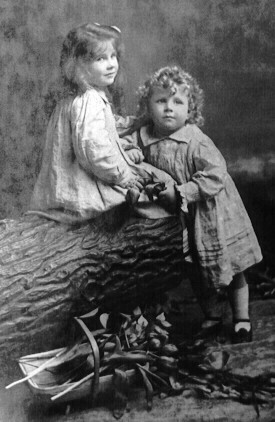 Above, Lady Elizabeth, four, is pictured with her younger brother David, three, with whom she had a very close relationship. One of their brothers, Captain Fergus Bowes-Lyon, was killed at the Battle of Loos in France, during World War I. This event did disturb Elizabeth’s quiet life at Glamis Castle: the castle was transformed in a hospital for soldiers and, disturbingly enough, the war began on Lady Elizabeth’s birthday, 4 August 1914. 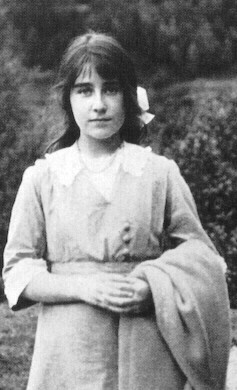 Above, Aged 14, Lady Elizabeth was a simple countrywoman, although raised in the highest standards of rural aristocracy. Pictured here outside Glamis Castle, by this time she had met her future husband Prince Albert, for regularly the Royal Princes came to Glamis and the Bowes-Lyons were invited at the Court. The picture was taken the year World War I began, bringing to Europe the feared blood that the new weapons could create. Although too young to work as a nurse, Lady Elizabeth did assist some of the soldiers who went through Glamis. Above, After the wedding ceremony, the couple was escorted in carriage to Buckingham Palace, where they appeared on the balcony to greet the people who had gathered in large numbers. It was undoubtedly due to Queen Mary’s love for pomp and sense of royalty that the British Royal Weddings became the glittering ceremonies that conquered history. 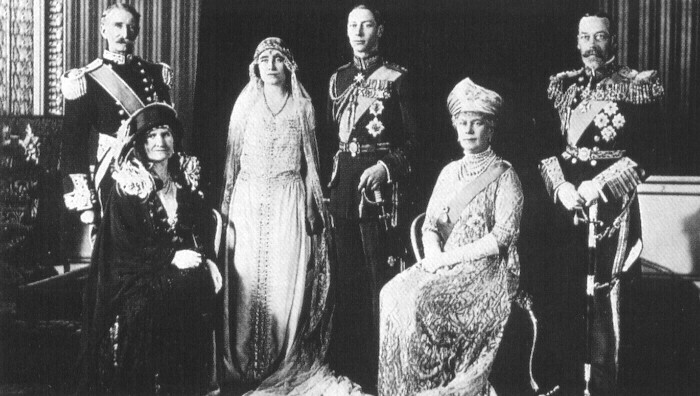 Above, The new Duke and Duchess of York are pictured with their parents. On the left, the Earl and Countess of Strathmore. On the right King George V and Queen Mary. 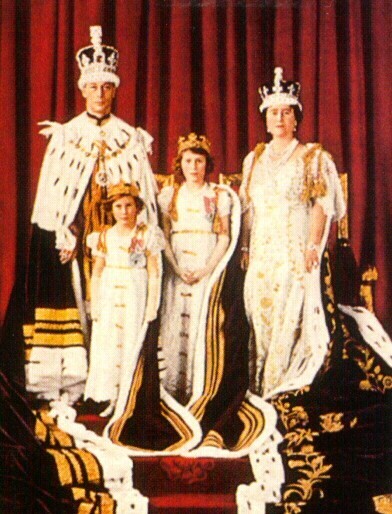 The King’s reign had lasted for 13 years, since his father&#39;s death in 1910. The King was extremely popular among his subjects, mainly due to the success of Britain in World War I. 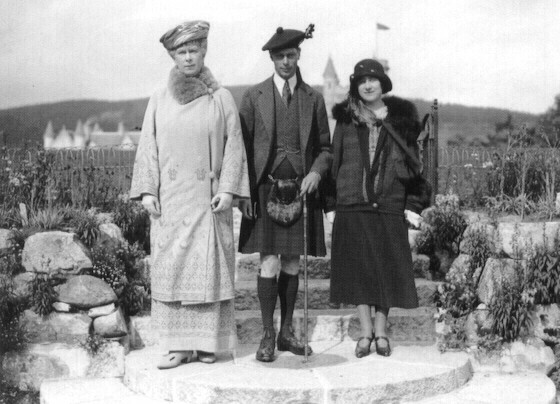 "A DOMINO FACTUM EST ISTUD ET MIRABILE IN OCULIS NOSTRIS"
Above, The Duke and Duchess of York are pictured with Queen Mary in Balmoral in 1924, just one year after their wedding. Scotland was always the favourite place of Great Britain for the Queen Mother, given her links to Glamis Castle. Balmoral Castle is a private property of the royal family. Above, No one by that time thought that the little Princess Elizabeth would become Queen, since the Prince of Wales, future Edward VIII and Duke of Windsor, was extremely popular amongst the people and few doubted that he would be an extremely good king. This picture was made after the baptism of the Princess, who is held by her mother and surrounded by members of the Royal and the Bowes-Lyon families. 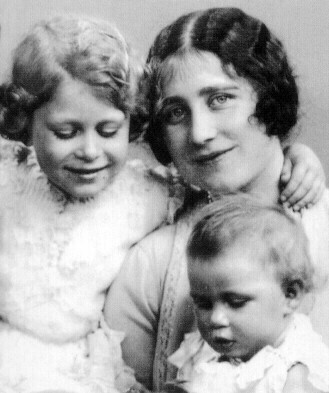 Above, The then Duchess of York is pictured with her two daughters Princess Elizabeth and Princess Margaret. It is understood that the relation between the two daughters of the Duke and Duchess of York was always extremely good, having both felt the responsibility which fell on their parents after the abdication of their uncle. Above, On 12th May 1937, the coronation that had been planned for King Edward VIII took place, but the sovereign to be crowned was another one: George VI, King of the United Kingdom of Great Britain and Northern Ireland, Emperor of India and sovereign of all other realms overseas. Between the Abdication, in December, and the Coronation, in May, a new crowned had to be made: the one for Queen Elizabeth, made of several thousand diamonds and finished with the shining glory of the Koh-i-Noor, the magnificent and historical Indian diamond.